The tools we use to shape our ideas and turn them into reality are among the most important factors for the creation of quality design. We’re delighted to show you our list of hand-picked design tools. Choose among a variety of design software and a selection of courses that will teach you the ins and outs of quality web design. This set of tools will allow you to easily create beautiful graphics and adapt your designs for the web. I mean, who doesn’t? If you have ever dreamed of being able to build a website with the simplicity and intuitiveness of creating a Lego toy, then you’ve come to the right place. IM Creator is not your typical web design tool. It allows you to create a website using a huge selection of Stripe templates which offer flexibility and full website responsiveness without the use of any code. Despite being the most popular software for web design, Photoshop is extremely difficult to use for creating web projects in comparison to other vector programs, such as Illustrator, for example. 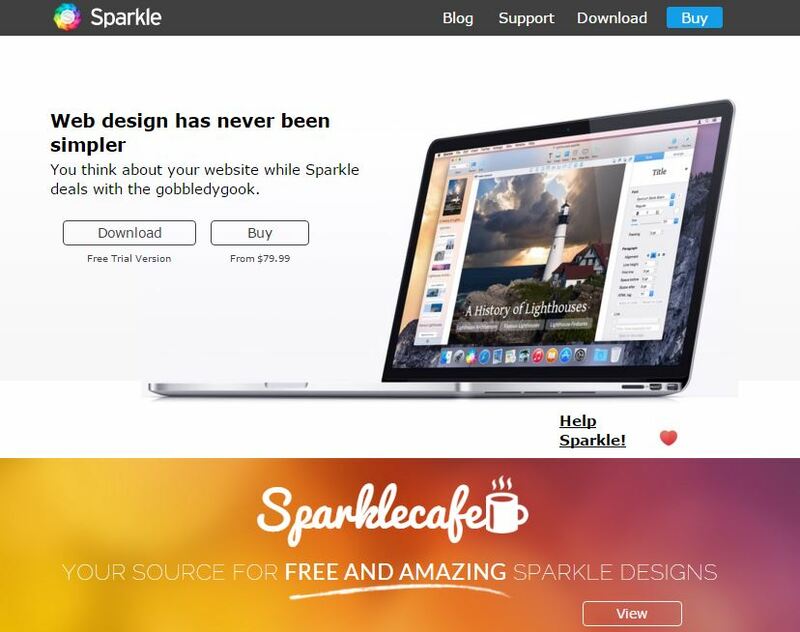 Sparkle is a vector-based web design tool that aims to solve this issue and completely change the way people design for the web. Webydo is a powerful tool for crafting beautiful web design projects without using code. The platform’s gorgeous website perfectly presents the tools amazing capabilities. Webydo offers an extensive range of options for creating, managing and hosting web design projects. It also has a neat dashboard which allows users to manage hundreds of clients’ sites from a single place. 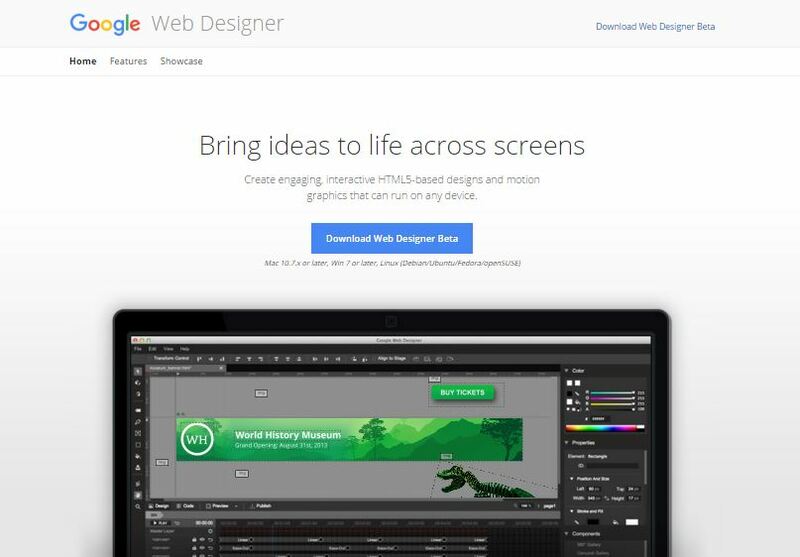 Created by the infamous search engine giant, the Google Web Designer tool is basically everything a web designer needs to create astonishing projects. It is a WYSIWYG web design tool that can be quickly related to Wix, Silk or any other tool on the web. Yet, what differentiates this Google’s amazing product from the other premium software on the market is that it allows users to amplify their designs with code. The tools revolve around creation on a visual level, but it doesn’t restrict users to take a peak into the back-end of their web project and enhance their designs from the inside. This neat browser extension for Chrome, Opera and Mozilla will allow you to quickly test the responsiveness of any website. The best part is it’s absolutely free and contains no advertising, subscription fees or micro transactions. These tools will help you better understand the principles of web and graphic design and apply them in your projects. This free online course will teach you the main design principles and techniques used in web design and allow you to quickly embark in the creation of a great web project. This amazing course is created by Tomas Laurinavicius, a young entrepreneur from Lithuania. He’s the guy behind some other amazing projects, such as Refe and the Mobile Design Book. His work is definitely worth a shot. If online courses are just not your thing or you simply have no time to tackle a complete course, let alone keep up with tasks and extreme deadlines, this website might be a great solution for you. 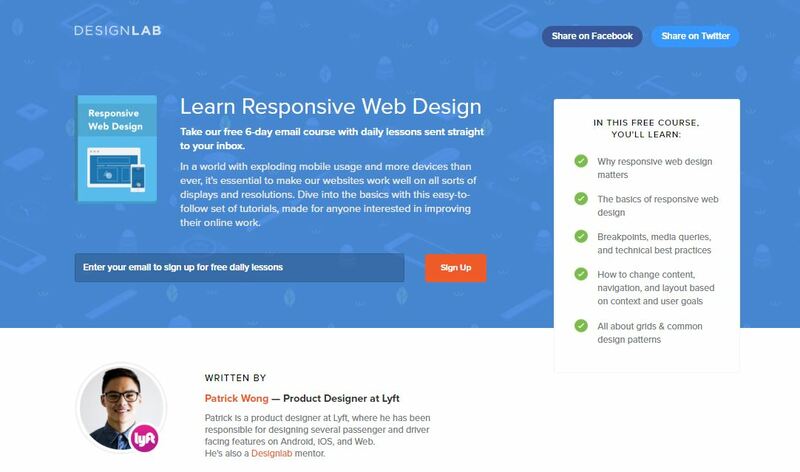 Design Lab will introduce you to a 6-day e-mail course that can teach you the essentials of creating a responsive web design. You can simply subscribe and you’ll get the lessons sent straight to your inbox. If you are an app design enthusiast who wants to get on the fast train to success in the design scene, this website is for you. Get familiar with the Web’s latest iOS design tools and learn to put your ideas into use with one of the world’s most popular design tools, Sketch 3. Design + Code will help you learn Xcode7 and iOS 9 design, but most importantly, it will teach you how to apply your skills and develop your ideas.